This report examines the commercial side of every cannabis-lover’s favorite holiday: 4/20. Use it to craft your 4/20 specials, or merely to satisfy your curiosity about how the holiday plays out on paper. If you’ve ever wanted to know what the number one holiday hot seller is or what the day’s peak sales hours are, this is the report for you. A sales bump on 4/20 is an incontrovertible fact. The day has become the world’s unofficial celebration of cannabis, and data shows that consumers are buying plenty of cannabis with which to celebrate. Interestingly enough, the selection of 4/20 as cannabis’ day is pretty arbitrary. It’s not, as some have theorized, the California penal code section for the plant or the day it was legalized in Amsterdam. Rather, it began as a secret code word used to coordinate smoke sessions for a group of San Rafael high schoolers in the 1970s. Somehow it caught on and never stopped catching, and is now the most anticipated day in the cannabis industry. Before there was a cannabis industry, however, all we knew about 4/20’s effect on sales was that the previous week was a busy one for dealers. Now, with the ability to track cannabis sales in real-time, we can get a pretty precise idea of what people are smoking on the big day. And not just what they’re smoking, but also who they are, when they’re buying it, and how much they’re paying. As it turns out, the day does have a pretty significant effect on the popularity of certain products. Cannagars, unsurprisingly, see a big boost. More traditionally medicinal products don’t get as much of a bump, which is to be expected, given the day’s festive atmosphere. Perhaps most intriguing is the fact that the average basket amount isn’t too significantly higher than on other days in the spring season. This suggests that the very real 4/20 sales bump is actually due to an influx of one-off or first-time buyers. The holiday might be arbitrary, but having it so well established seems to be opening the door to cannabis for a lot of new customers. If that isn’t cause for celebration, we don’t know what is. Happy 4/20 everyone! Data for this report comes from real-time sales reporting by participating Washington state cannabis retailers via their point-of-sale systems, which are linked up with Headset’s business analytics software. This report is based on data collected from Washington state retailers on in 2015/2016. That data is cross-referenced with our catalog of over 100,000 products to provide detailed information on market trends. Demographic data for this report excludes customers that had more than 500 transactions in the last 2 years, as well as anyone that had a null for either age or gender depending on the analysis. Flower and Pre-Roll dominated the top 10 list in 2015, which makes sense given the relative youth of the market at that point. In 2016, when consumers were beginning to be more comfortable with other methods of consumption, three cookies made the list. 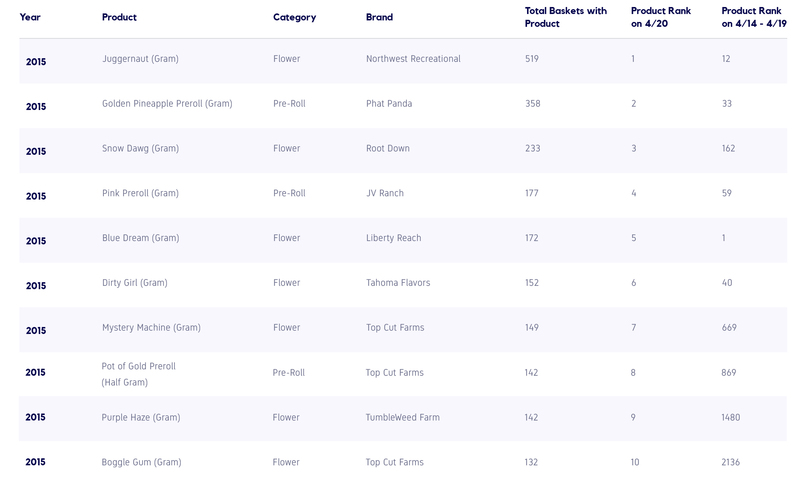 Most of the products that were in the top 10 on 4/20 were not part of the top 10 products sold in the first 19 days of the month, which suggests that consumers are trying out specialty items and branching out from their usual purchases for the occasion. Indeed, in 2016 one of the top 10 products (Dirty Girl) doesn’t show any sales data in the beginning of the month, which might even mean it was a special product launch for 4/20. The table below compares 4/20 sales for the top products to their sales data from 4/1 to 4/19 for the same year. 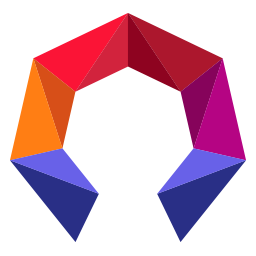 This helps control for the typical fluctuations and trends of the market, which is still relatively new and tends to see products appear and disappear frequently. By focusing in on just the period leading up to 4/20, we’re better able to examine the 4/20 sales spike. The sales are also presented in terms of total baskets containing a product, which gives a clearer picture of that product’s popularity. 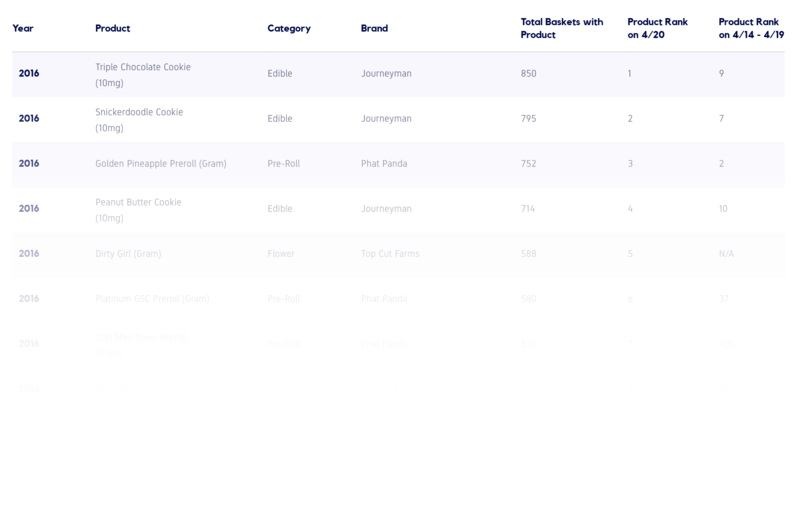 On 4/20, it’s safe to assume that one basket means one customer, so this method shows us the most common purchases while filtering out anomalies from high-priced specialty products or bulk purchases of 4/20 promotions.